Showing results for tags 'fm19 llm'. Welcome to the start of my new FM19 story, Part of the Furniture. In this one club challenge, I attempt to take Torquay United from the lowest playable division in non league to legendary status! In this episode, it's our first day at the club. Check it out below:- If you enjoyed this episode, LIKE the video & SUBSCRIBE to the channel for daily FM19 content. New episodes of FM19 Part of the Furniture, on Tuesday, Thursday & Sunday, with new content from my other FM19 story, The Head Coach on Monday, Wednesday & Saturday at 4.30pm. Thanks for watching! 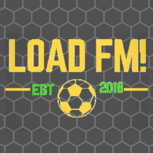 Welcome to Season 1 Episode 1 of my new FM19 story, The Head Coach. This is a LLM Journeyman story with a twist, as we work under a director of football with the players/staff we're given at every club on our road from non league to legendary status! Today, we look for our first new club of the series as an unemployed manager, before meeting a new club for the first time once we receive a job offer! Check it out below:- If you enjoyed this episode, LIKE the video & SUBSCRIBE to the channel for daily FM19 content. New episodes of FM19 The Head Coach on Monday, Wednesday & Saturday at 4.30pm, with new content from my other FM19 story, Part of the Furniture, on Tuesday, Thursday & Sunday. Thanks for watching!